You are here: Home / Blog / Rant:Cisco – Masters of the Networking World – what’s that on your home page ? 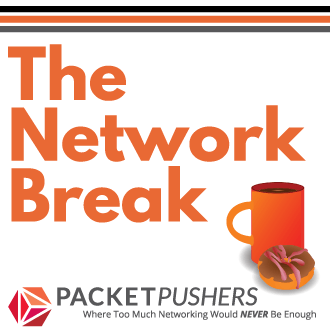 Rant:Cisco – Masters of the Networking World – what’s that on your home page ? Cisco, the 800 pound gorilla of the networking world, master of the networking universe, number 1 position in routing and switching market space, world beating service levels in the TAC. And what do they put on their home page ? And No, they don’t give them away as freebies when you spend mucho cash on the equipment. Not even for a UCS / Acadia deal, I asked. Heh, funny. Gotta love the Marketing folks. Oh yeah, that makes it alright then! They’ve already conquered the enterprise space so now they are focusing on the consumer space. The folks in San Jose have had their eye on the consumer market for quite some time and have slowly been moving in. Have a look at the very long list of acquisitions; http://en.wikipedia.org/wiki/List_of_acquisitions_by_Cisco_Systems. 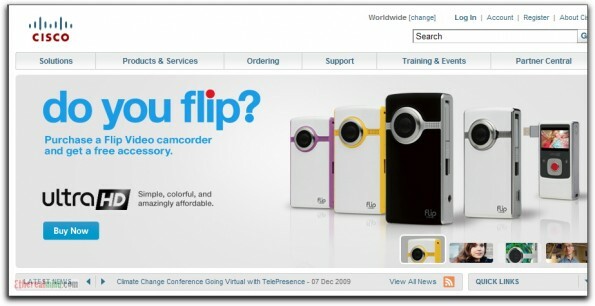 The Flip is really one of those great tech products that has already made it into mainstream America. Haha. They do give them away though. A coworker got one for going to some conference in San Jose a few weeks back. 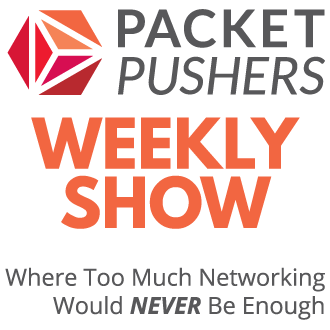 Conferences are organised by external marketing companies, not by Cisco. Yeah, I’ve got one. But, the FRONT PAGE ? Not much traffic. Streaming video generates more and it’s not like these things generate a whole lot of television. do we really need to spell it ? It feels intuitive, it makes ‘sense’, and it seem logical. But really, how many people are making video and shipping it around the place ? Second, why is Cisco in that business ? Flip was doing just fine on it’s own and didn’t need a capital injection to keep it going. – how many people were using DSLRs and uploading pictures to, say, flickr 10 years ago ? – that is, from flip viewpoint they were doing fine. from cisco viewpoint, there is a hot company just waiting to be swallowed, which is the usual way cisco does business. we could think about as a ‘venture capitalist’ throwing money around and if one of them is successful..